This Blastomussa wellsi has a bright neon green center and a deep blood red rim. Each frag has between 2-3 polyps. Blastomussa are an interesting stony coral because from afar they resemble mushroom corallimorphs. They are a relatively easy coral to care for with modest requirements for both flow and light. In fact, we have found they tend to do best in low light conditions. They are also easy to feed and later propagate making them a great choice for reef aquarists looking to try some of the more exotic large polyp stony corals. Please see below for additional care tips for Blastomussa as well as checking out our Top 5 Tips for setting up a reef. 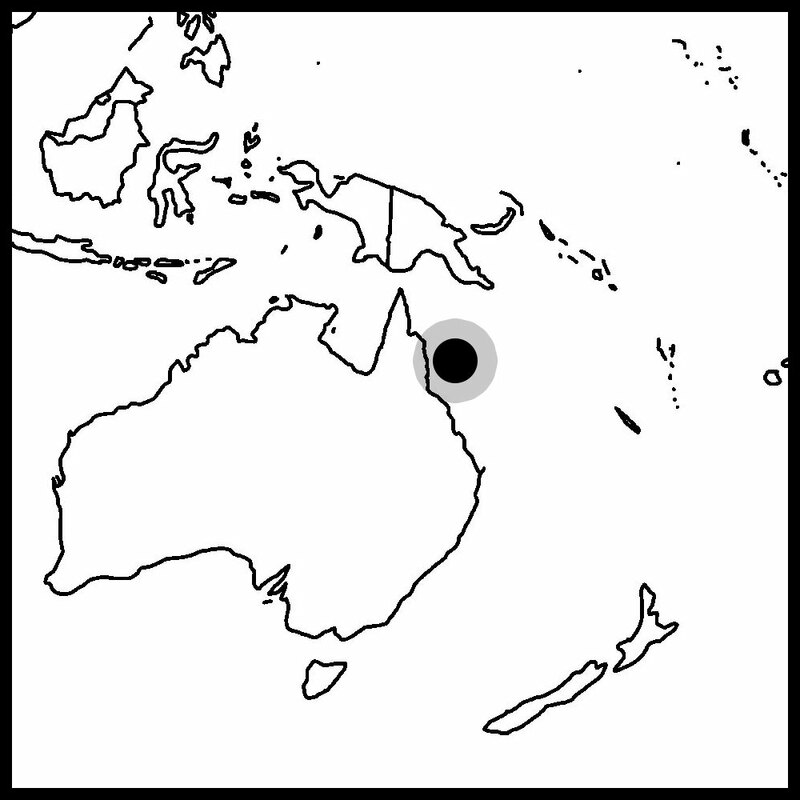 Indo-Pacific - Blastomussa can be found in the islands of the Indopacific including Fiji, Tonga, Solomon Islands, and the Great Barrier Reef. The vast majority of ours come from Australia but some of the most impressive rare color morphs are Indonesian. Blastomussa are one of the few corals that appreciate very dim light. We have seen them expand better and take on much more vibrant colors under subdued lighting while struggling greatly under bright lights. When overexposed portions of their polyp may become unnaturally inflated or even develop bubbles inside their flesh. If you have a reef tank with modest lighting, Blastomussa may be right up your alley. Moderate water movement is recommended. Blastomussa do not seem particularly picky on the type of flow they receive. We have kept them in both low and strong flow reef aquariums without significant differences in health. Like many of our other LPS, we strongly believe that feeding is a major key to the long term success of keeping Blastos. Blastomussa can be fed a mix of meaty foods such as pieces of krill or mysis shrimp. In terms of propagation, Blastomussa have been successfully fragmented and are an excellent candidate for aquaculture.